Keep batteries warm – the cold has an effect of draining your batteries at a much faster rate. Also, moisture may seep within the battery chamber can cause rust in the metal parts. To avoid this damage, bring spare batteries with you and keep them protected from the cold by placing them in a hand warmer or a woolen sock. See to it that the battery and the camera have the same temperature before you change batteries. Avoid condensation- condensation or water moisture appears when you expose your camera to the cold elements and then enter a warm area. Try not to change your lens during cold conditions. 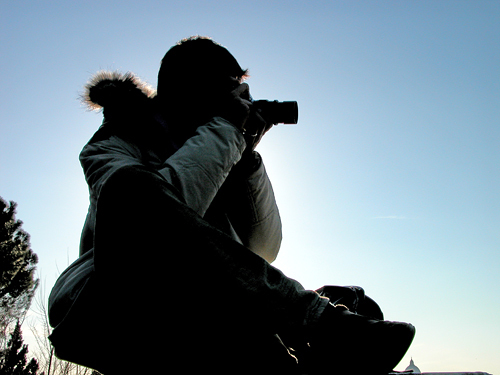 To protect your camera, place it in a carrying case when not in use. When you are going to shoot outdoors, having your camera in a protective casing ensures that its response to the change of temperature is gradual. Leave a couple of dehumidifier packets inside your camera bag. 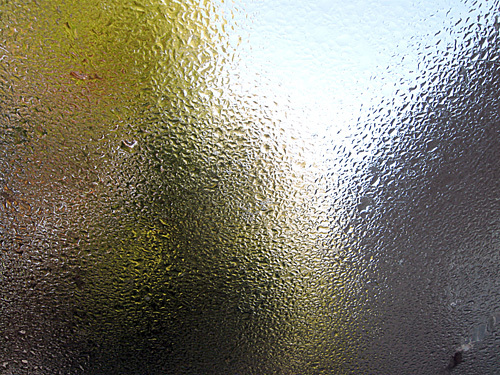 Another tip to lessen condensation from showing up in your camera is to place it in a plastic freezer bag once you get in from the cold. This will make the moisture form on the bag instead of the camera. Protect your hands while taking shots – it can be difficult to work outdoors in cold weather because it can usually numb your fingers. Using gloves may keep our hands warm but they can be awkward once you start to take pictures. To have better maneuverability for your fingers, you can use soft thin gloves and mitts over them, preferably those with flaps at the tips so you can quickly access your fingers when you are ready to shoot. 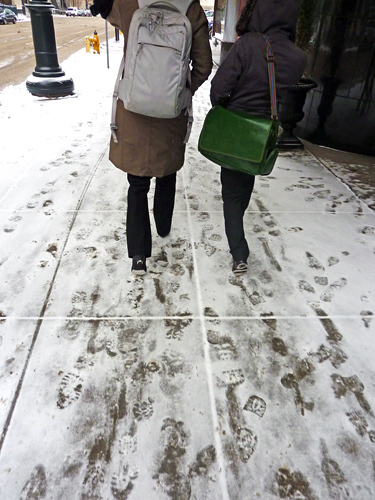 Be extra careful when walking – wet and cold weather can lead to slippery ground. Be careful and try to avoid taking pictures while you are walking. Make sure that you are standing on film ground before you start to shoot and as much as possible, your shoes should be slip proof. Always wear your camera neck strap to lessen the chances of the camera slipping through your hands and falling to the ground. If you are very excited to see your shots as soon as you get home, you can first remove the memory card from the camera or bag and putting it in your pocket before you enter the warm indoors. This way, while the camera is warming up to room temperature, you can check out your shots in the computer. This entry was posted on Monday, May 2nd, 2011 at 10:30 am	and is filed under Articles, Cameras and Equipment, Miscellaneous. You can follow any responses to this entry through the RSS 2.0 feed. You can leave a response, or trackback from your own site.